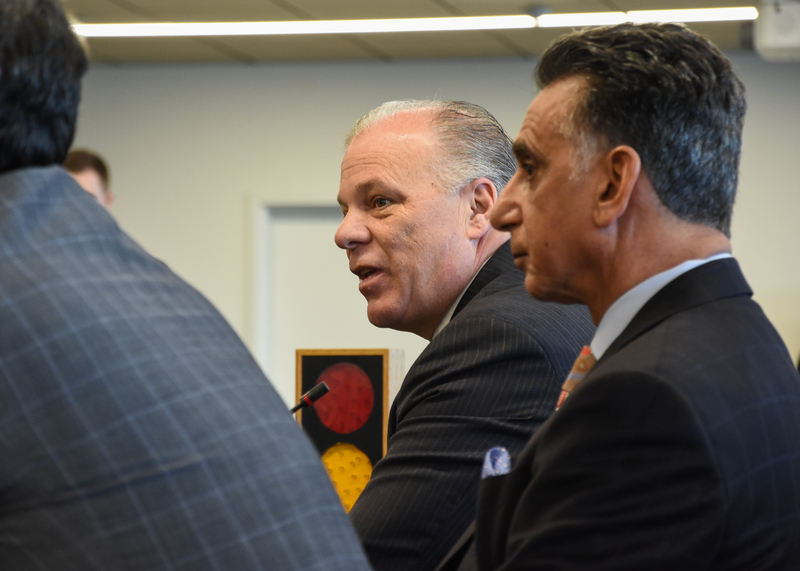 Tuesday in the engineering hall the New Jersey State Senate held a budget hearing for their fiscal year 2019 budget. The purpose of the hearing was to allow constituents who may be impacted by portions of the budget to speak up and make their voices heard. One of the largest groups of people at the meeting were representatives from several local school districts, including the Chesterfield, Kingsway, Robbinsville and Cherry Hill districts. These particular districts have been underfunded by the last few budgets. During the hearing, representatives from these districts were able to testify in front of the panel, which was made up of members of the Senate. After each testimony, the panel was able to interact with each group and ask them follow-up questions. One of the people who testified at the meeting was Jennifer Cavallaro-Fromm, a Kingsway School Board member and a member of the Kingsway Regional School District Fair Funding Action Committee. 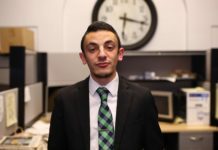 Cavallero-Fromm said that the schools are simply asking for adequate funding. Another major group at the meeting was the Court Appointed Special Advocates (CASA), a public-private partnership group that trains community volunteers to be advocates for children removed from their homes due to abuse and/or neglect. These advocates help children get the services they need. CASA New jersey Associate Director Liza Kirschenbaum was there, along with a large contingent of CASA workers. Kirschenbaum noted that CASA had been funded in the state budget since 2015 at 2 million per year, but the organization was there asking for an additional 500 thousand per year in funding, which she said would allow CASA to cover 500 more children. 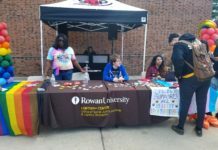 Along with the hearing topics, the growth and expansion of Rowan University was another major centerpiece of the event. Senate President Steve Sweeney was present at the meeting and said that the growth of Rowan University was impressive. Sweeney also said that in his mind, this was still the beginning of a long process for the school.